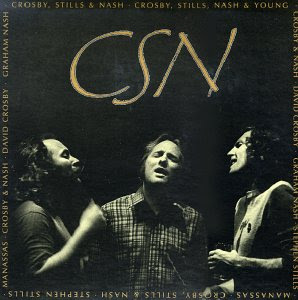 CSN is a box set released in 1991 by Crosby, Stills and Nash. It features material from their albums as a group in addition to selections from their various solo and duet albums. It also features many outtakes, including from sessions that did not result in an album by the group. Highlights include a cover of The Beatles' "Blackbird" and the full length take of "Almost Cut My Hair." Wow, this is cool with the extra solo project tunes thrown in (though a couple of the later tracks with electric drums could have been left out!). Thanks for posting this!